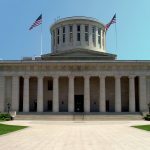 Mac Haddow and Jack Henningfield of the AKA met with the Ohio Board of Pharmacy staff, who assured the AKA they were going to go ahead and Schedule 1 kratom in the state based on the FDA’s pseudo-scientific arguments. 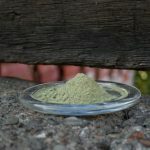 This despite the fact that Ohio is the site of one of the biggest opioid epidemics in the country, and thousands of kratom users there could be harmed, some irreparably. 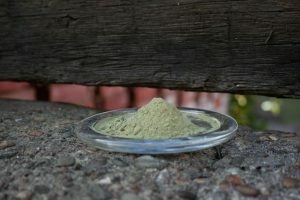 The staff was respectful, but expressed their current view that the position of the FDA on the safety of kratom formed a sufficient basis for the Board of Pharmacy to proceed with a proposed rule on scheduling kratom. The Board of Pharmacy staff did express their strong concerns about the content of some of the comments that were made by kratom advocates, including the use of inappropriate profanity and comments related to family members of the staff. While we expressed strong condemnation of such comments, it was clear that our message had been undermined by these deeply offensive messages. 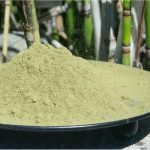 We encourage every kratom supporter to be professional in future communications. These staffers and the Pharmacy Board Members should be accorded respect even if we disagree with conclusions or opinions they may hold. The AKA is 100% correct. Being nasty, profane, or insulting to individual government officials only gives them ammunition to carry out their agenda. If politicians with an agenda can’t make an intelligent argument based on logic or science, they can certainly make the primitive argument called “Them bad. Us good.” Even if the nasty comments only constituted a tiny fraction of total comments, of course they are going to highlight the negative to fit their agenda. As we’ve seen, this is exactly what the FDA does with rare negative effects on individuals who use kratom to justify a ban. Predictably with this kind of ammunition, the Ohio Board of Pharmacy resorted to tone policing. Tone policing is a diversionary tactic that focuses on the tone of the argument rather than its substance. It’s often used by people in positions of power who have no logical argument to justify hurting those beneath them. My landlord used this tactic against me when I became upset that he put a bucket under my rusted out, leaky sink instead of changing the plumbing. He told me I needed to use more dignity and respect in my tone, meanwhile I’m standing in my socks in a puddle of water trying to do the dishes. The arrogance of the tone-policing tactic is infuriating. But stop and take a breath before reacting to it. The AKA is right. Ignorant and cruel policy will not be defeated by ignorant and cruel language. It will only prop up unjustifiable power. And we don’t need to use those tactics when we have the truth on our side.